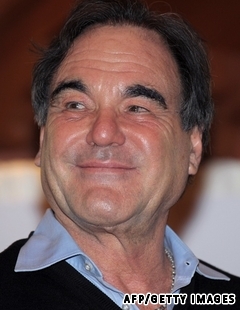 Given that earlier this month Hollywood filmmaker Oliver Stone received international media attention for saying Adolf Hitler was made an easy scapegoat by history, it should come as no surprise the Oscar-winner raised a few eyebrows during his visit to Bangkok this week. Stone, the keynote speaker at last night’s ASEAN Dialogues Towards a Culture of Peace event at the Foreign Correspondents Club of Thailand, told reporters here that Americans are in denial and refuse to consider the possibility that someone other than Lee Harvey Oswald killed U.S. president John F Kennedy. Naturally, the comments are receiving international attention and more than a few complaints. Which is great publicity for Stone, who is working on a 10-part documentary on the 20th century titled "The Secret History of the United States." His next film, “Wall Street 2: Money Never Sleeps,” stars Michael Douglas and Shia LaBeouf and is set to open later this year.